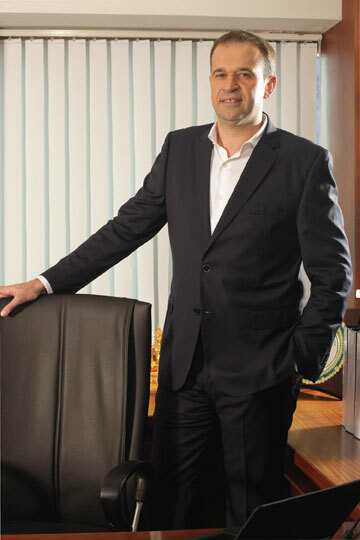 Bertrand was appointed as a the Group Financial Control Director for Vicat in India Cement in 2014. He comes with a extensive experience of over 20 years in various industries after serving at various capacities. During his tenure, in every role he accepted across the globe taught him a lot about the economic conditions and how to handle and make the best use of finances. Being a thorough finance person, he also manged the sales and distribution which helped him understand various markets. Having an exposure to Global Finaincial Exposure his strength lies in his dynamic leadership and is Responsible for group financial reporting, budgeting, forecasting and business plan with a equal proficiency in sales and distributions. He is an MBA graduate from the prestigious INSEEC Paris, Business School, France. Later he completed his Masters in IT from the University of Sciences and Technology, France. He has also attented the Executive MBA at Wharton, Philadelphia and the US.